Our goal for the Word of God in all its fullness to be available to any person in need is becoming a reality. 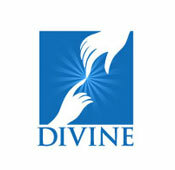 Divine TV can now be viewed in Europe, United Kingdom, the Middle East, USA and Canada. We ask you to continue to pray with us to obtain Government-approval for Divine TV to be broadcast in India. Please click on the respective Region button to obtain the technical Tune –Up Procedure details that is applicable to where you live.